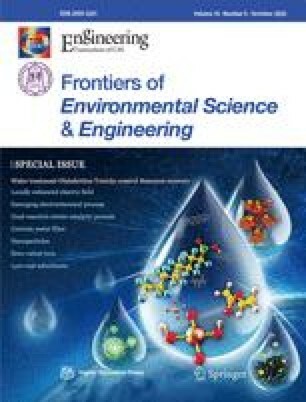 The occurrence and removal of 39 targeted pharmaceuticals and personal care products (PPCPs) from source water, through a drinking water treatment plant (DWTP) to the water supply station, were investigated around the central part of Yangtze River Delta in China using both grab sampling and continuous sampling. Totally 24 of the 39 targeted PPCPs were detected in raw water, and 12 PPCPs were detected in the finished water. The highest observed concentration was enrofloxacin (85.623 ng/L) in raw water. Removal efficiencies were remarkably negative correlated with log Kow (r = - 0.777, p<0.01) after calibration control of concentration, indicating that more soluble PPCPs are easier to remove by the combined process (prechlorination and flocculation/precipitation), the concentration level also had a great impact on the removal efficiency. The normal process in the pilot DWTP seems to be ineffective for PPCPs control, with the limited removal efficiency of less than 30% for each step: pre-chlorination, flocculation and precipitation, post-chlorination and filter. There were notable differences between the data from continuous sampling and grab sampling, which should be considered for different monitoring purposes. The chlorination and the hydrolytic decomposition of PPCPs in the water supply pipe may attenuate PPCPs concentration in the pipeline network. The PPCPs examined in the effluent of DWTP do not impose a potential health risk to the local consumers due to their RQ value lower than 0.00067. Supplementary material is available for this article at https://doi.org/10.1007/s11783-019-1109-4 and is accessible for authorized users. This research was financially supported by the Major Science and Technology Program for Water Pollution Control and Treatment in China under Grant (Nos. 2017ZX07202001 and 2017ZX07202004).